Not split into pages. It's best viewed as a single page using the up and down arrows to navigate. 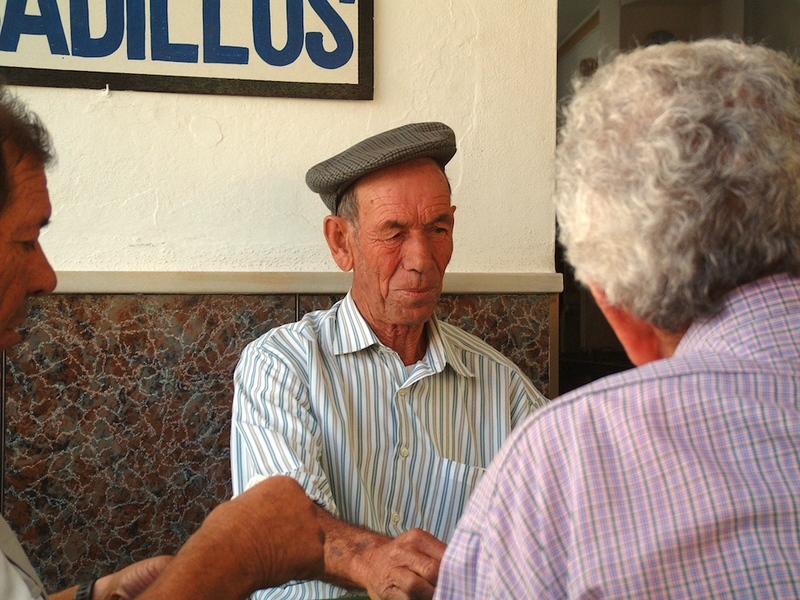 Card player in Ardales, Andalucia. Fuji 4900. 2mp interpolated to 4mp. Not a bad photo for 2mp! 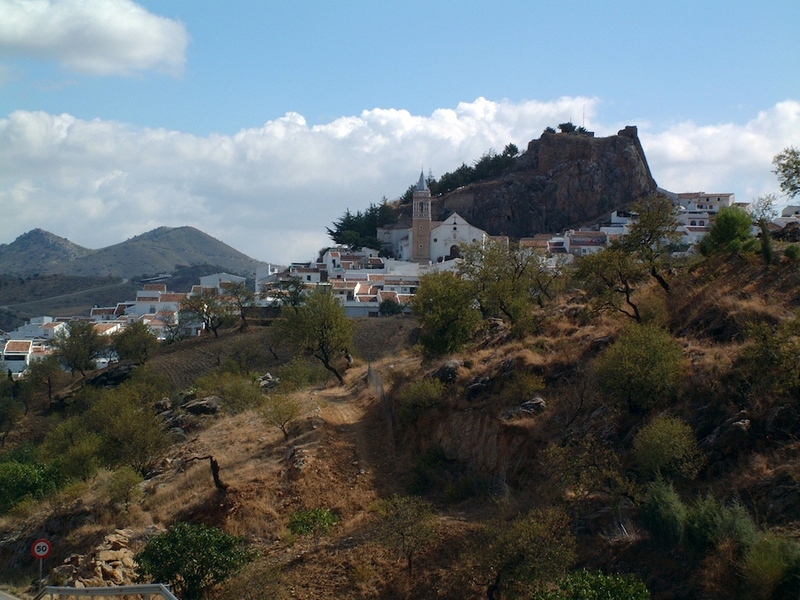 Andalucia is full of wonderful-looking white villages. Many on hill-tops like this. 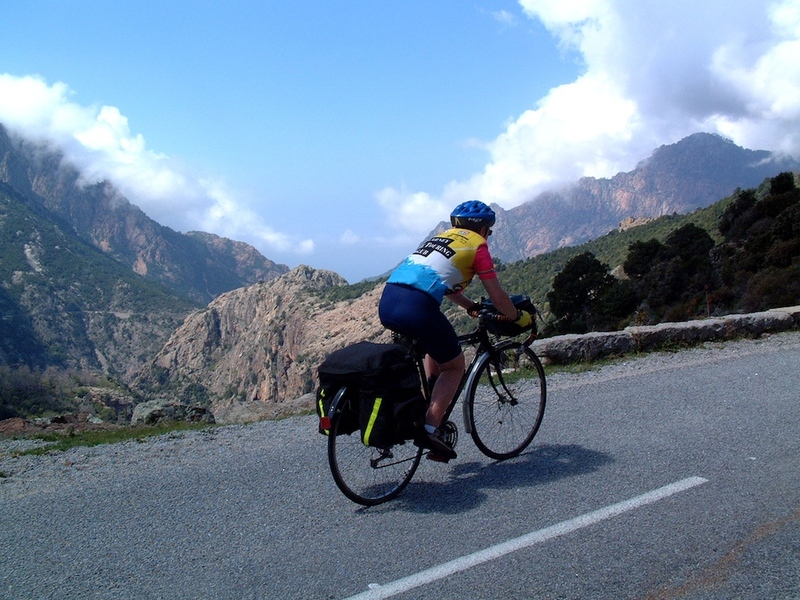 Mary on route from Malaga to Ronda. 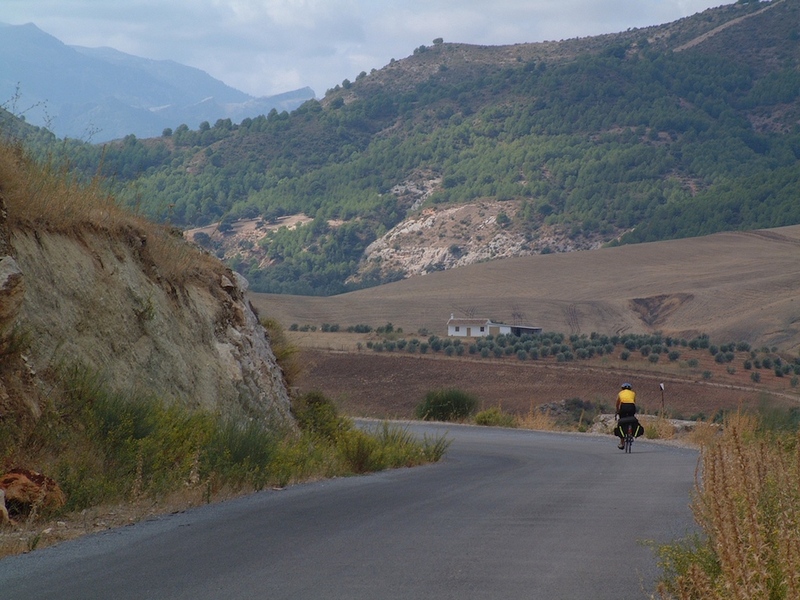 Via El Chorro and Ardales. A great cycle this is. I've done it three or four times. Coffee in Ardales. Mick Lehane, Mike Harris and Mick Sweeney. 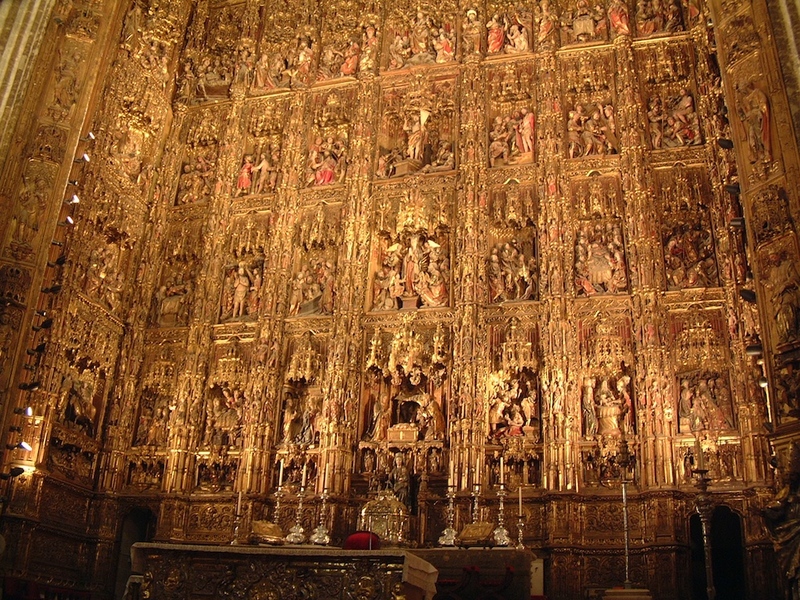 The Retablo behind the main altar in Seville Cathedral. This is the largest Gothic church in the world and only behind St.Peter's in Rome and St.Paul's in London for size. This giant work of art which is carved wood covered by gold, is the lifetime's work of one Flemish artist. It's very tall and as you look up the figures look the same size as he made them bigger to facilitate this. It is said to be the greatest single work of Christian art and certainly to me, it is. I've seen nothing with the same wow factor. The photo was done with a poorish camera so it doesn't do it justice. If you visit the cathedral ask for someone to turn on the lights, as you can't see it without them. Seville Cathedral. 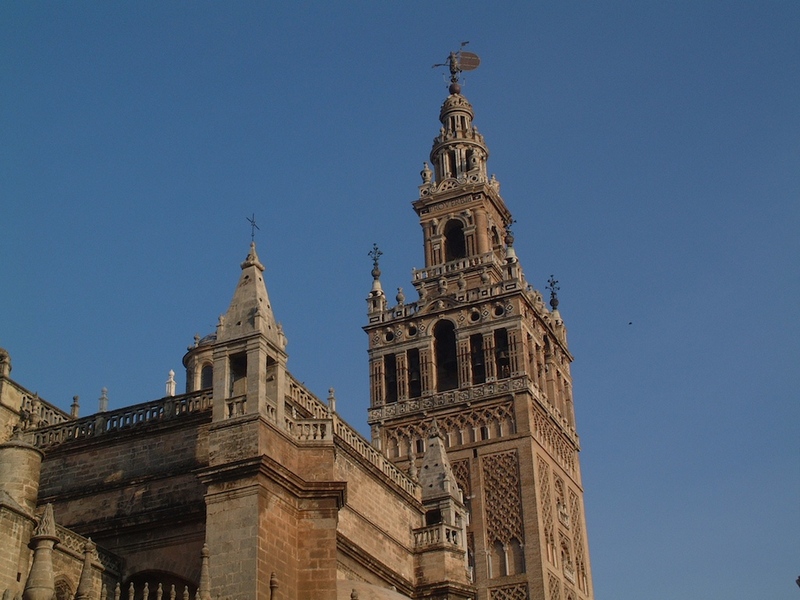 The tower is called El Giraldo and was the greatest minaret in the Muslim World. When the Christians took the city they kept it as part of the Cathedral. 2 horses side by side can ride up an internal ramp to the top. You can walk. It's quite plain side and a huge disappointment compared to the retablo. Picnic in Corsica in the only town on the giant climb to the Col de Vergio. This climb is 4800 ft from sea-level. It has to be the finest climb I've done (3 times). 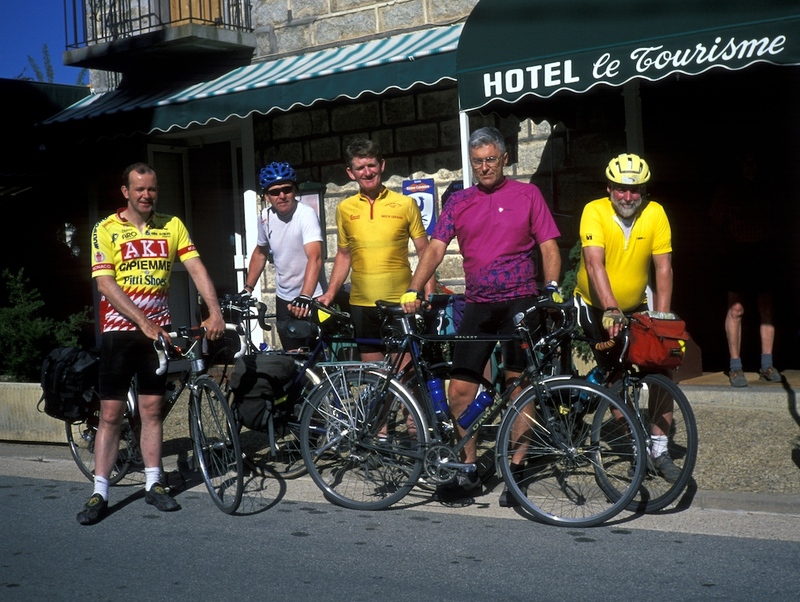 Apart from the food, Corsica is very hard to beat as a cycling destination, but to be avoided in high season. Another time in Corsica. Been there three times. 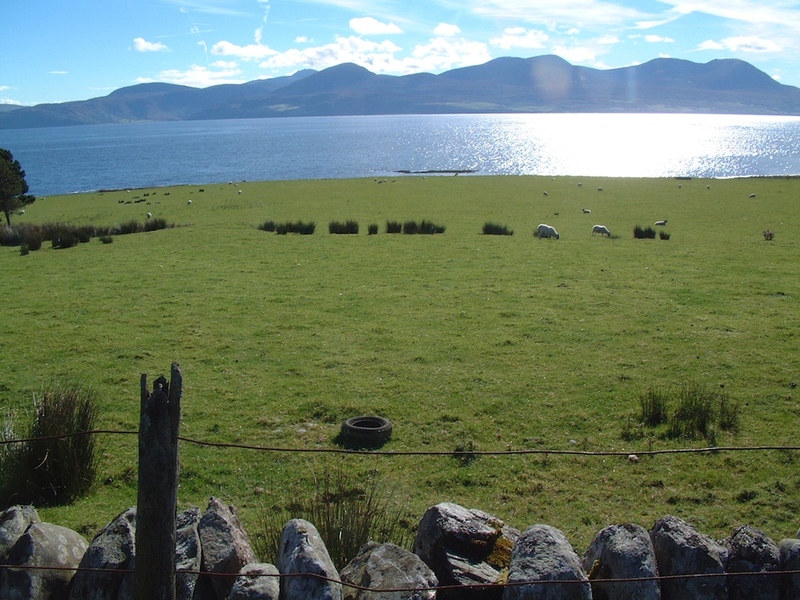 Looking at Arran from the Kintyre Peninsula. You can get a ferry from Lochranza to Kintyre (there's nothing on the Kintyre side) and then there's a difficult up and down road to Campbeltown. It's only 35 miles but so hilly that it's enough for the day. I love the scenery (I've done it three times).